Can’t decide what to buy? We’ve got the answer that’ll guarantee you’ll nail your gift giving. Choose a Baccus gift voucher, the simplest way to gift for guys or girls. 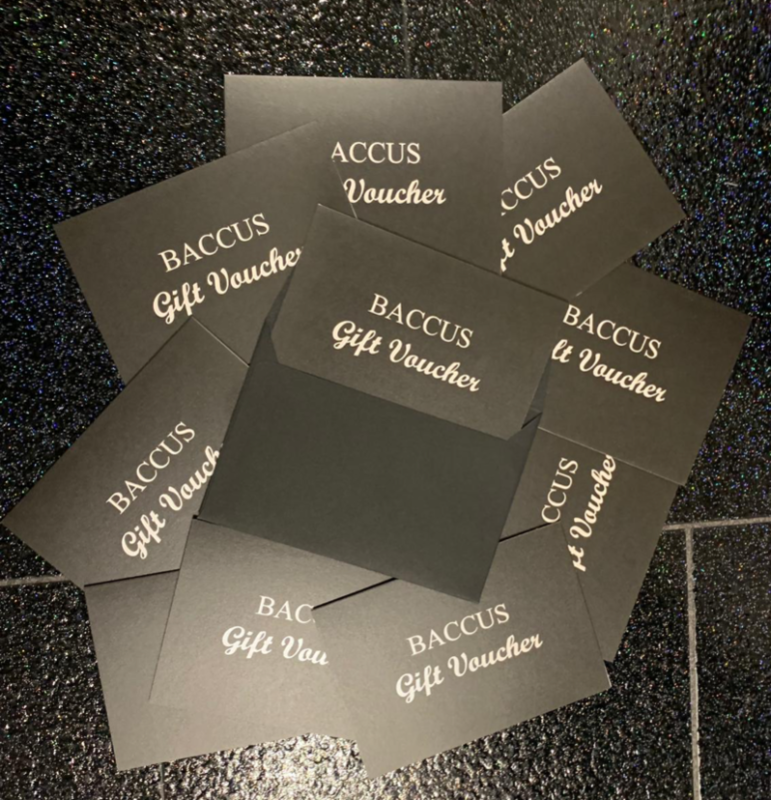 Our vouchers come in a stylish black card and envelope with the Baccus logo on the front. All you need to is select the amount & we will pop this in the post to you. If you want to direct to the recipient just enter their name and address under ‘SHIPPING ADDRESS’ in the checkout and we will send it on direct. Please be aware our gift vouchers can only be redeemed instore or by calling/emailing us if you want to purchase something online. Gift Voucher cards measure 14.8cm wide by 10.4cm high. Envelopes are of a similar size.